Good lighting! 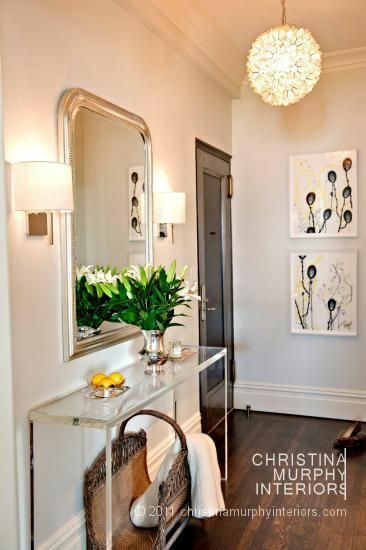 You can make a statement through your lighting whether it is a gorgeous overhead light fixture or a fun table lamp. Something green! Flowers, orchids, or a plant and it doesn’t even have to be real. Start with a table and add layers (mirror, artwork, books, tray, candle). I love having a little tray to put my keys in when I walk in the door. 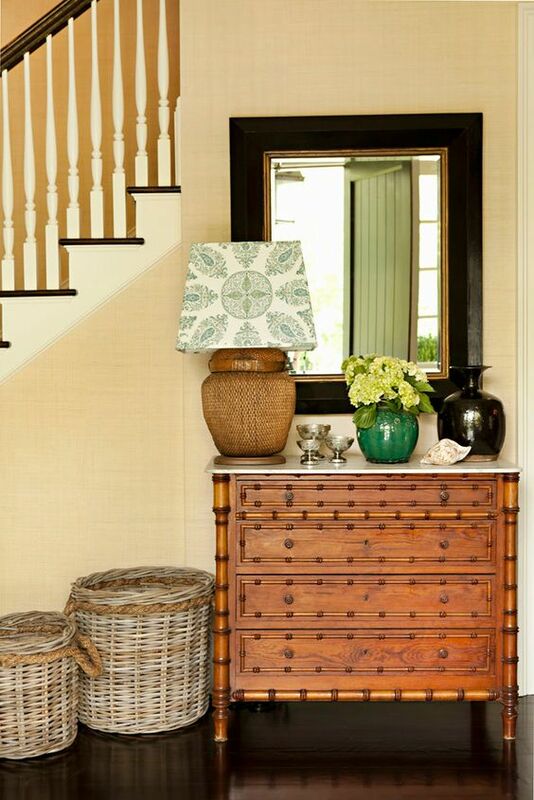 A place to sit, a chair, sofa or bench is always welcome (I use my extra dining chairs in my Foyer). Mine might as well be a purse stand because I also put my purse on the chair when I walk in. 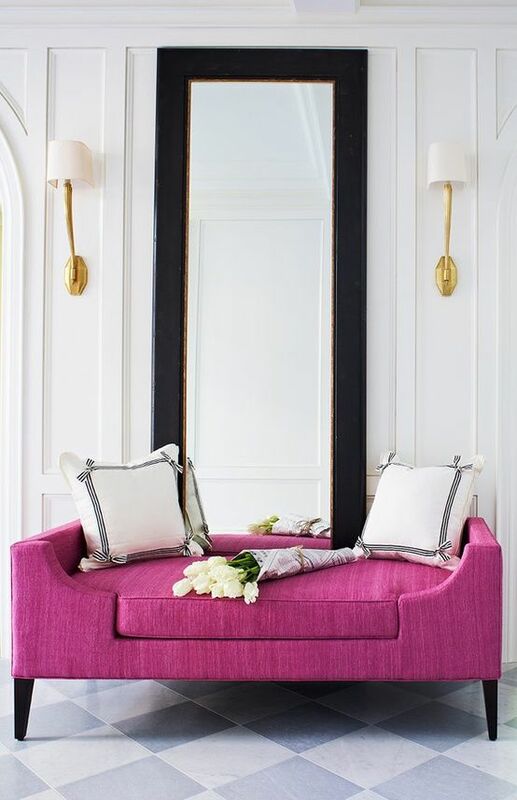 Mirror, which will always make the area look larger than it is. 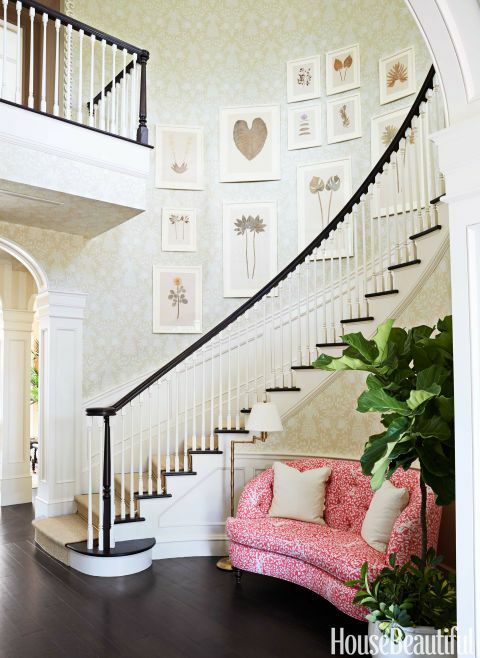 How I would decorate a home very much depends on the location and the bones of the house itself. You need to work within the space and feel of the home. 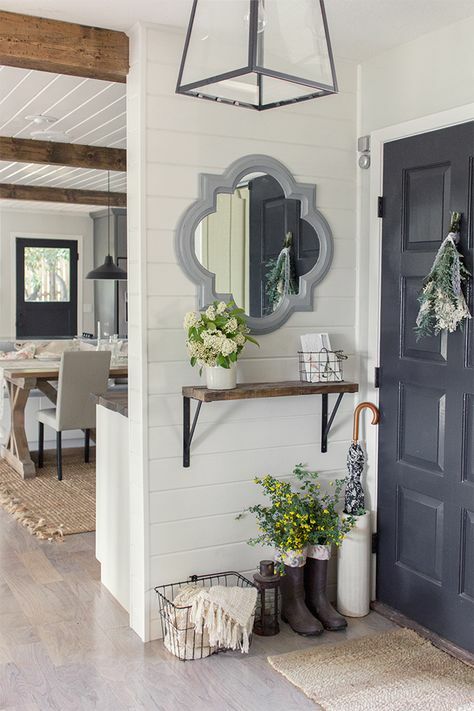 Even a tiny foyer can be beautifully styled, you don’t need that much. Also, if I learned anything in decorating my apartment it is that it doesn’t happen all at once, it is an evolving process. Sometimes it is also fun to change it up, a new piece may change a few things around. 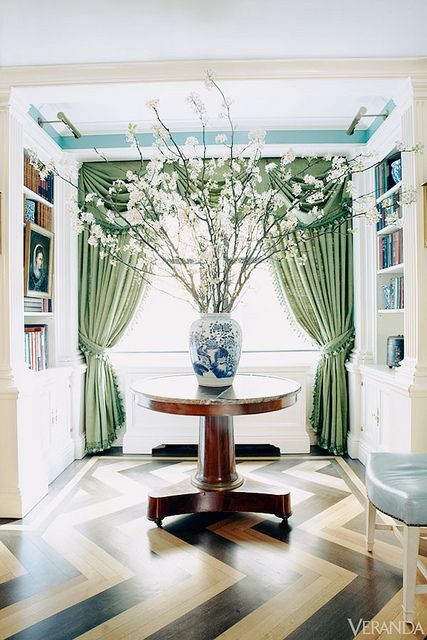 Depending on my mood I either have fresh flowers or an orchid in my entryway, but always some type of flower or greenery. 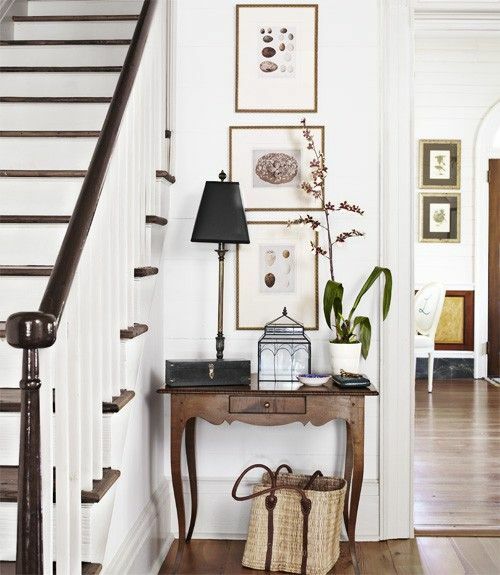 One Kings Lane has some great tips and pieces to help you style your entryway. 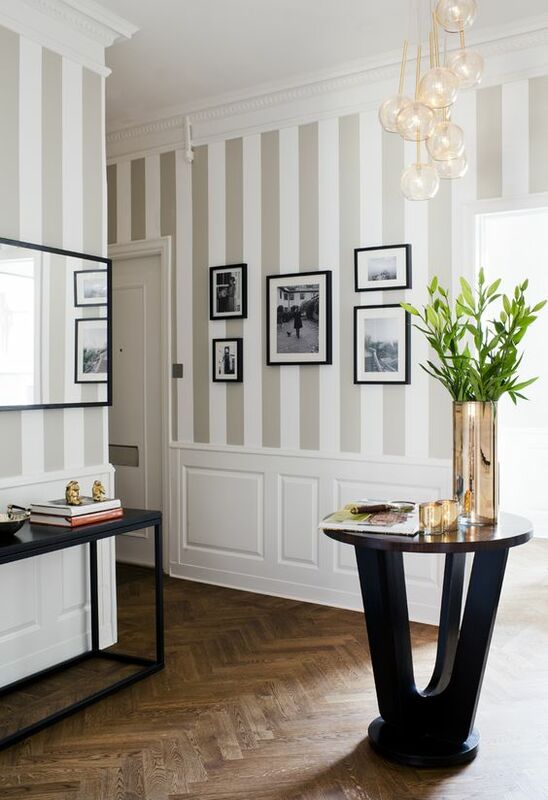 A console table can be anything you want from an old chest to an acrylic side table that blends into the space, whatever fits in the vibe of your home. If you have a smaller entry, I love this demi lune table which you can get in a variety of great colors. 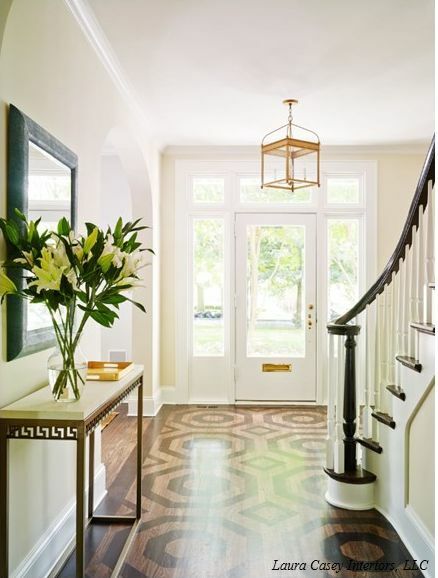 Looking for a statement, I think this Oomph Foyer Table is fabulous! 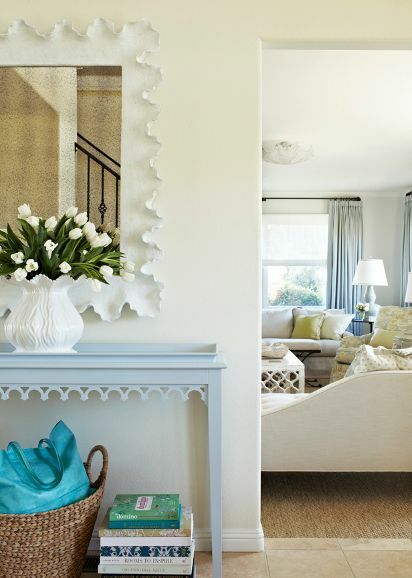 For a beach house, I love these mirrors (one & two). 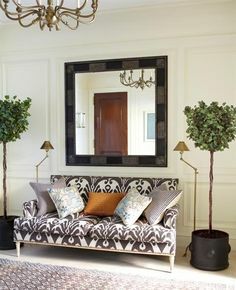 This Pottery Barn mirror is very similar to mine, the first two photos bellow, and hard to argue with that price. 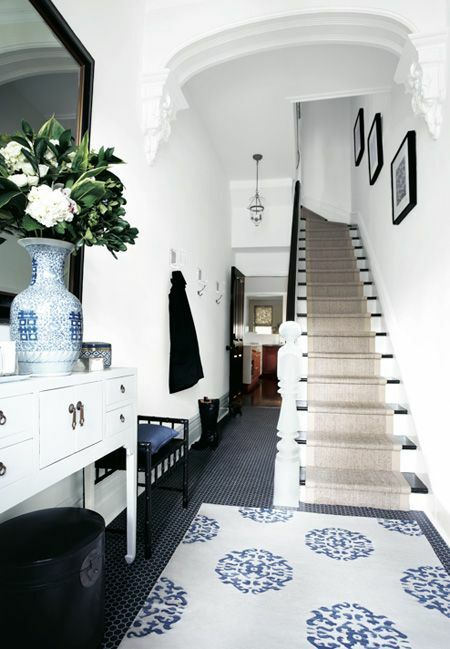 Here are some of my favorite entryways that I found on Pinterest, the first two photos are of my apartment!